There are a lot of things to applaud and question from the Guardian story and subsequent interview with whistle blower Edward Snowden. Snowden raises security issues that many of our leaders won’t address. Granted, discussing some of these issues publicly could hurt national security. But the big problem is that our elected officials have always reacted to trends rather than being proactive. Blame crony capitalism. It causes politicians to heed the needs of special interests trying to hold onto power or markets rather than allowing us to prepare for the future. So, Snowden should be applauded for making us address these security issues created by the twin phenomena of easy-access communication and a world where terrorists are no longer states but tribes or cults. We don’t know everything about this story yet. That is the nature of these government programs. The government is trying to keep secrets. Some would say it is for our security; others would say those secrets could be used against us. We will have to determine that balance. Don’t fall for the political hacks trying to create headlines or attract campaign donations. They don’t have all the info either. So, be careful in how you analyze or criticize this story. To that point: Bravo to Informed Not Inflamed followers who seem to be in more research mode rather than opinion shouting mode. Understand this slight distinction. PRISM is not the same as the phone records Verizon story that broke a few days before. That program appears to be a temporary data search of Americans phone records in reaction to the Boston Marathon Bombing. However, I think public opinion will show more horror about their phones being tapped than about their emails or social media sites. PRISM is directed at Internet companies. PRISM was vetted and signed-off by Congressional leaders. So, it is a legal program that is under the scrutiny of the FISA Court. (The phone records data dump was also signed off by FISA Court.) As a result, I don’t think PRISM will have long-term traction in public opinion. And I think it will cause divides in both political parties. However, there are solid counter arguments against that. Yes, PRISM deals with foreign data. But what if that foreign source is dealing with an innocent American? Is that data off limits? Probably not. Being vetted by Congress is not reassuring. First, these are people who got elected based on taking campaign donations from special interests so we could be dealing with people who don’t look at the overall interests of America. Furthermore, the executive branch of government holds the trump card on national security. The Administration can give to Congress what they think Congress needs to know. And Congress has no choice but to hear that information – and not say anything. The FISA Court is run by a judge – no one who is elected by the people. 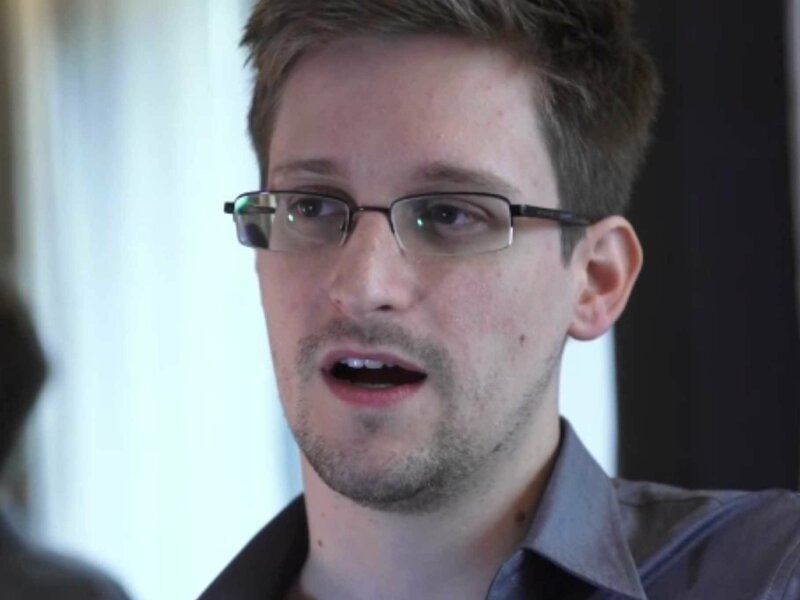 Time and more information will help us assess Snowden. Was he just a naïve young man with an ideology? Or is he the symbol of the Millenials? You can make a case for both. What Snowden did took courage. He went with his convictions. I think he is sincere. And he gave up a lot: a good paying job and a good life in Hawaii. But Snowden most likely broke some federal laws. Sure, you can call it civil disobedience. But some might call it treason. He also violated a contract he signed with his employer Booz Allen Hamilton. And we can question some of this thinking behind the leaks. Aren’t there certain things we don’t want the public knowing? That’s why we elect people to represent us. No one elected Snowden. Because of the new technology today, he has thrust himself into the national debate. That can be good and bad. He’s a “nobody” but he’s also a citizen with access. But his comment about “someone hired by the government” raises the issue of government out-sourcing. You will hear a lot of arguments on the size of government debate. Be careful with this. We can make the argument that Republicans have caused this by pushing for massive cuts to make government smaller. But we can also blame Democrats for pushing for too big government entitlements that allowed less scrutiny so a low level person like Snowden to get this information. It also raises the question about crony capitalism. 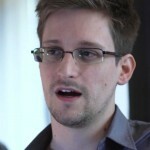 Snowden worked for government contractor Booz Allen Hamilton. Nearly all of Booz Allen’s revenues come from the government. Its employees have given more than $1 million in campaign donations since 1990. The split seems to be nearly even between both parties with Democrats getting a larger share more recently. But more importantly, if Snowden was only working for Booz Allen Hamilton for 3 months then how did he get access to that information? Again, we need to see what were the exact terms or length of his employment before we make any concrete assertions on Booz Allen Hamilton and government contractors. Snowden appears very naïve about China. He may seek asylum there so he chose Hong Kong to reveal himself as the whistle blower. He believes China “is not an enemy of United States.” He concludes that we trade with China and the Chinese people like us. Ironically, that is a Cold War mentality. We didn’t trade with the Soviet Union so that is the difference in the criteria for labeling China as a non-enemy? Sure, we trade with China but the one-party apparatus that runs China is looking out for themselves. Snowden says “Hong Kong has history of free speech.” And if you see some Hong Kong newspapers you might agree. They were allowed to cover in front page splashes the commemorations of the Tiananmen Square government crackdown. Still, Hong Kong is run by the People’s Republic of China. As someone tweeted, “I wonder how the Dali Lama would see free speech in China”. Snowden assumes China is pure and the US is not. Coming up I will have some thoughts on media bias and this story.